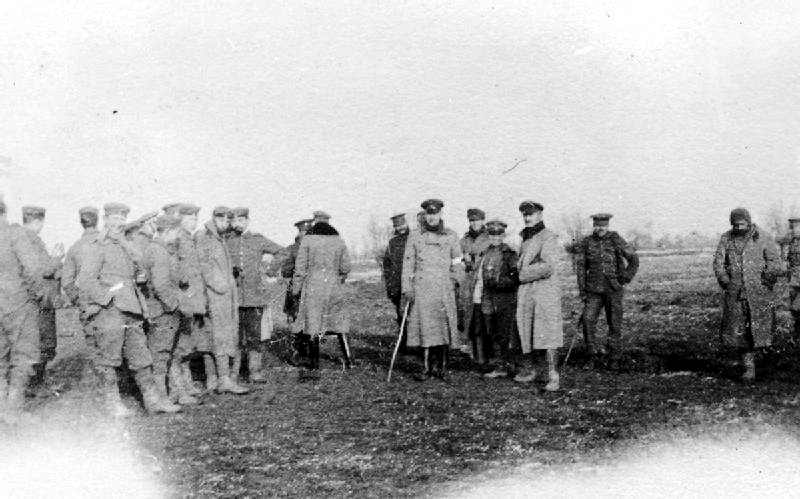 British and German troops meeting in No-Mans’s Land during the unofficial truce. Liebe Mama, the letter began when she opened its mud-spattered paper. Unfinished, it was, like the life that penned it. On the other side of The Channel. It read Dearest Mum. And then their stories began of Christmas Eve and Christmas Day when the guns ceased their booming bursts for that time and young men peeked over the mole-run, rat-hole front lines with no fear of dying without a head to send with their bodies, home to Liebe Mama and Dearest Mum. They told of going over the top clutching tobacco and biscuits, candy and sausages, instead of Enfields or Mausers, to trade season’s greetings instead of death. And carols were heard instead of the screams of the shells, the wails of the wounded, unanswered calls to Mama and Mum. But these were mud soldiers, the ones whose bodies would fertilize the poppies one day, perhaps, when church bells would ring for Christmas services and not to bury mein junge or my boy. It’s said the clean uniforms at the rear called a cease to the ceasefires in later years, because such fraternization was not in keeping with Victory for King and Country. And so barely again did boys in Khaki or Grau join hands in the brotherhood of men who looked the same when covered in the mud of Flanders or to the addressees of these, their last letters home. For after the final strains of Stille Nacht, there’d come no more silent nights except where now poppies grow, between the crosses, row on row. The Christmas truce, “Weihnachtsfrieden” in German, was a series of widespread but unofficial ceasefires along the Western Front around Christmas 1914. In the week leading up to the holiday, German and British soldiers crossed trenches to exchange seasonal greetings and talk. In areas, men from both sides ventured into No Man’s Land on Christmas Eve and Christmas Day to mingle and exchange food and souvenirs. Maybe this free write prose poem is a reminder that it can be done, if only for a short while, with hope for something more permanent someday.